The beverage market in India is valued at Rs 65,000 crore and a wave of new domestic brands is carving a niche in this segment. This move by the domestic brands is setting off an alarm among the large cola players in the country. Start-ups like RAW Pressery, Paper Boat Beverages, and Milk Mantra that are backed by the institutional investors have come out with interestingly packed and creatively marketed innovative products to woo the health conscious urban consumers. Rakyan Beverages’ Founder and Managing Director, Anuj Rakyan owning RAW Pressery, the cold pressed juice brand believes that the Indians drink less soda. There is a 5 percent drop in the growth of the carbonated soft drink consumption across the globe, he added. 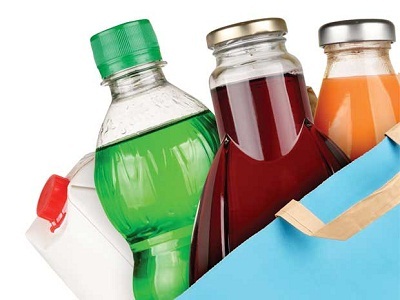 Even giants such as Coke and Pepsi are losing shelf space to functional and healthier options quickly as the consumers prefer products with no sugar and no concentrate. The Co-Founder and CEO of Hector Beverages, Neeraj Kakkar that owns Paper Boat brand states that has been a major shift in the preferences of the consumers towards the healthier drink options. Such drinks do not have sugar, carbonates or preservatives. They are planning to launch Panakam that is a jaggery based drink in the southern market and the launch will coincide with the festival of Ram Navami. This is a limited product that will be on the shelves for a fortnight. The brand will launch limited edition juice Kacchi Lassi and Rose Sherbet around Baisakhi and Ramzan festivals respectively. The whole idea is to launch ten to 12 traditional drinks for the key festivals this year. Srikumar Misra, the former Tata executive realized an opportunity with milk and founded Milk Mantra whose products include milkshakes under the Moo brand, milk, curd, and buttermilk. The MooShake brand uses tumeric that has anti-inflammatory properties and it is an immunity booster that is believed to keep cancer away. Next articleCase Study: Uber vs Ola: Which Will Dominate The Indian Market? [Marketing Concepts] What is Co-Creation? Vroooming into new sales records!